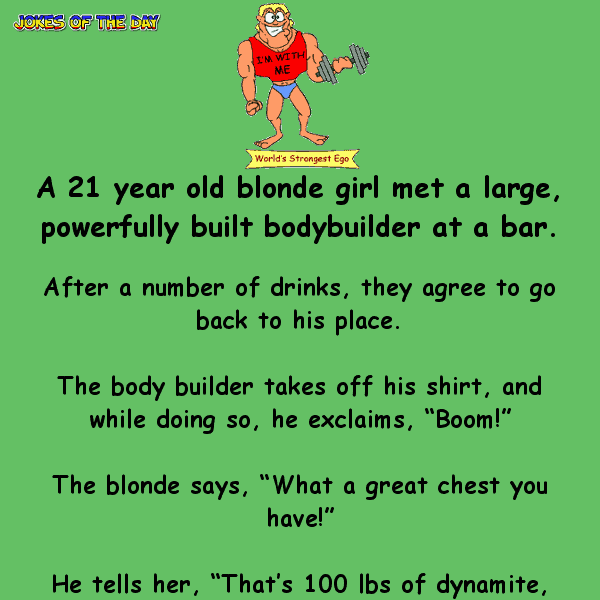 A 21 year old blonde girl met a large, powerfully built bodybuilder at a bar. After a number of drinks, they agree to go back to his place. The blonde goes running out of the apartment, screaming in fear. The bodybuilder puts his clothes back on and chases after her. He catches up to her and asks why she ran out of the apartment like that.